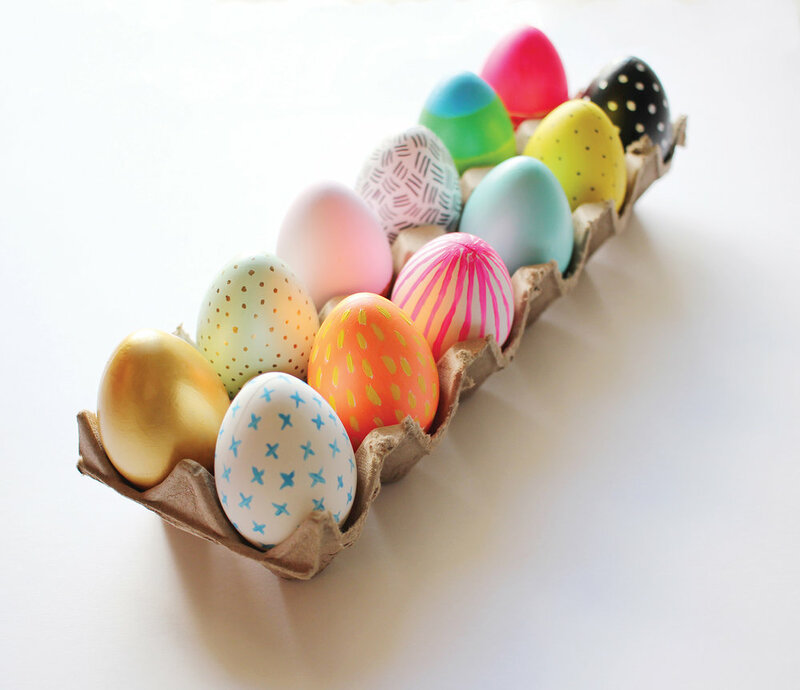 Many of us have done traditional egg dying at the start of Spring or for Easter. 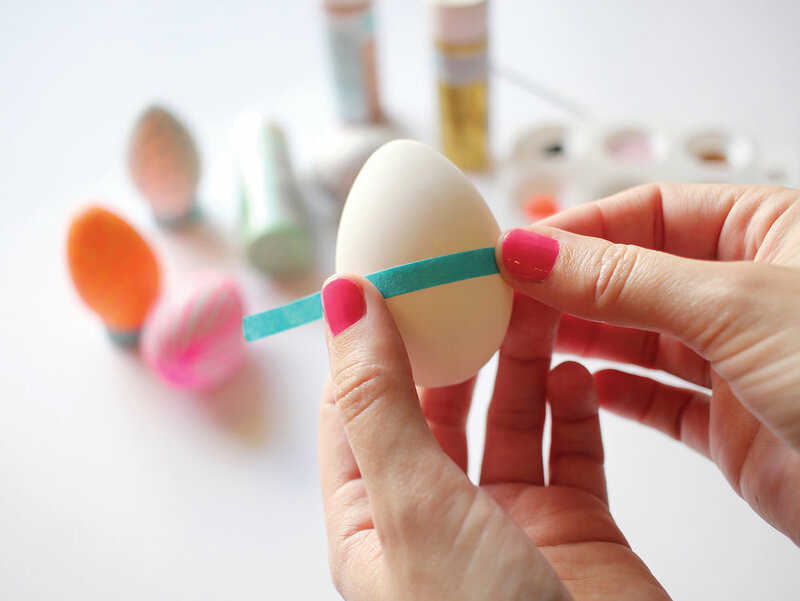 This is a fun craft, especially for kids, but there are other egg decorating techniques for children and adults alike (with no stained hands in the process)! Our Your Home team wanted to try hand painting this year using a vibrant and modern palette along with simple patterns. 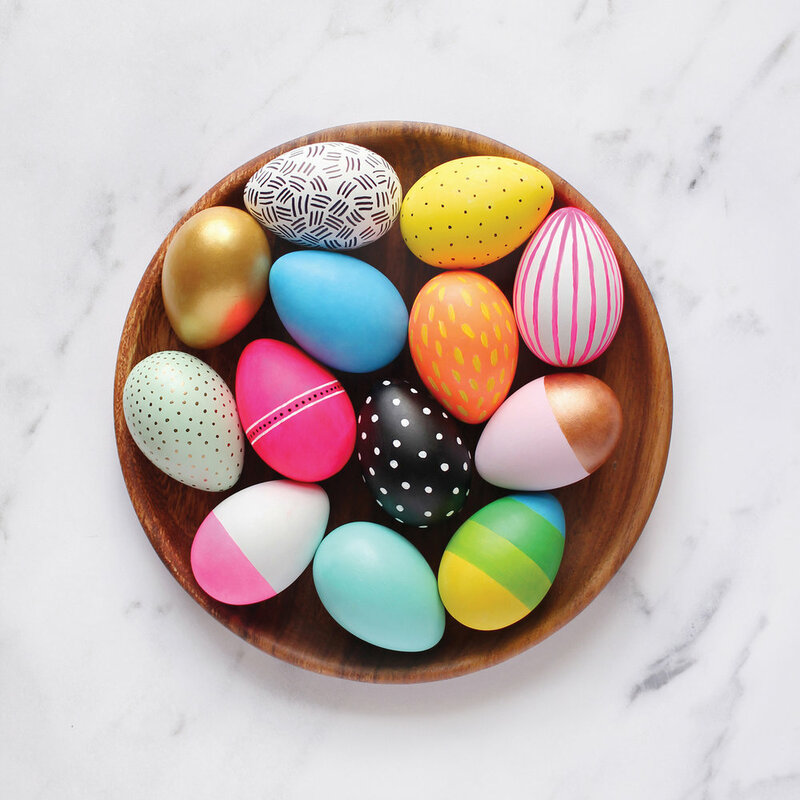 Recreating similar eggs with your own spin and style is simple and begins with gathering your supplies and deciding on your color scheme. You could easily use a smaller palette if you are wanting to match your home décor or if you prefer a more monochromatic aesthetic. We chose an eclectic mix of colors but the theme is up to you! 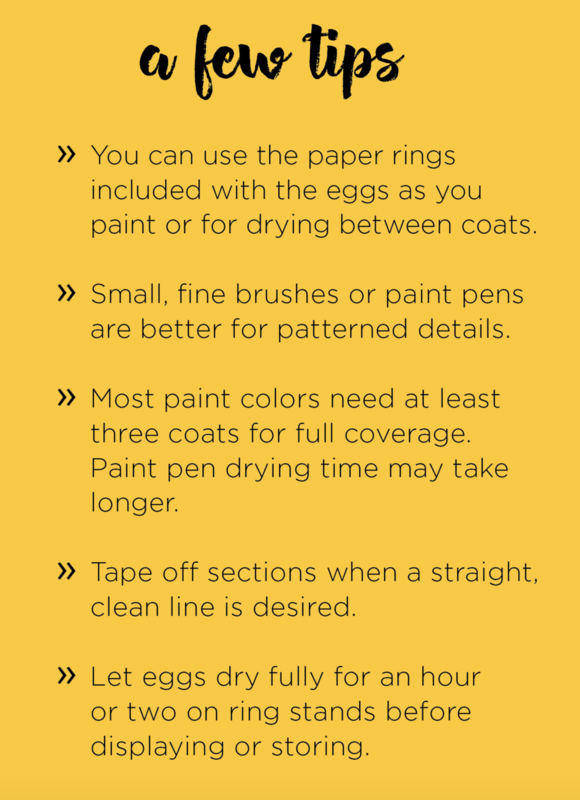 The supplies are outlined below—make sure to keep a dish of water and a paper towel for washing and drying your brushes as well. 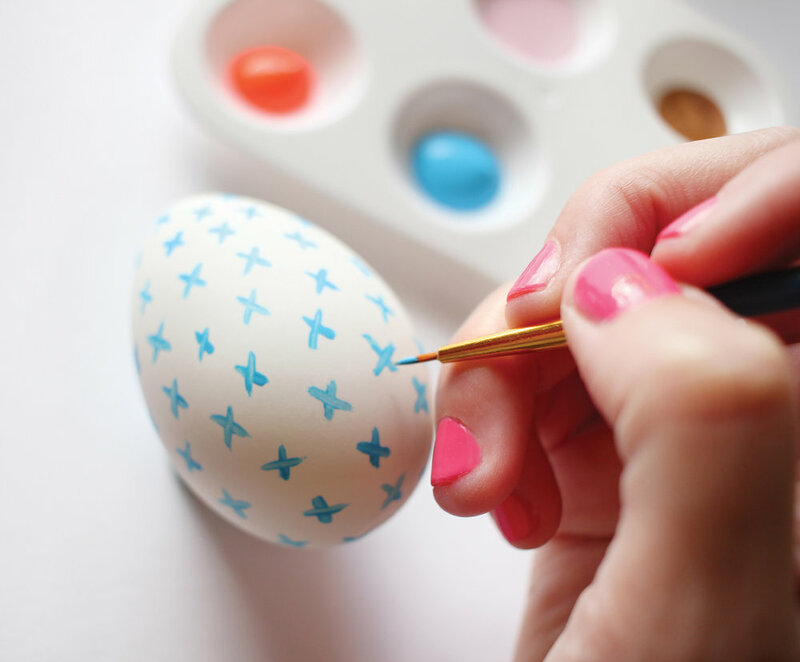 Once you have your supplies set up, you can begin painting! We opted to paint all of our base colors first, and then decide on patterns, whether that be stripes, polka dots or lines. 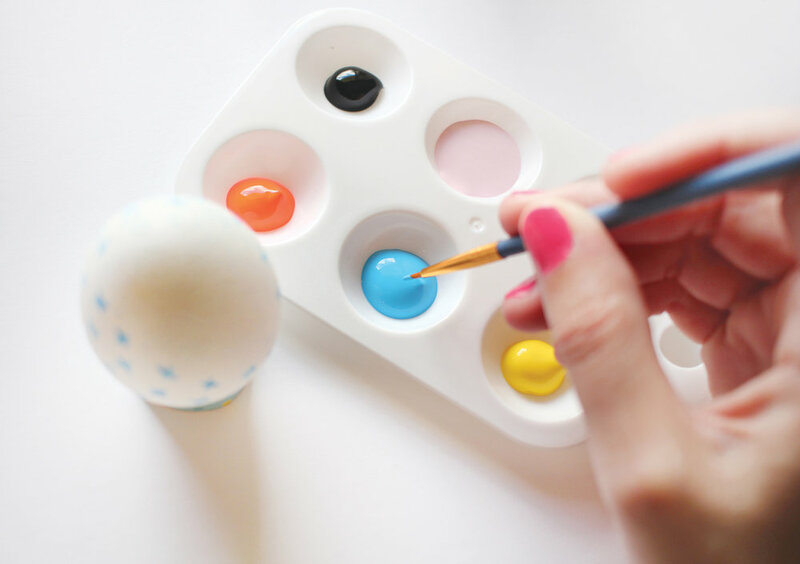 Keep in mind many colors will need a few coats of paint for full matte coverage on the plastic craft eggs; which we chose because they last years rather than a couple weeks. After the base colors are dry, if you want to add a pattern, just have fun and be creative. Share your creations on social media—tag @yhmagazine or use #yhmagazine on Instagram so we can see what you came up with!